One of Britain’s finest pianists, Lucy Parham applies her sensitivity and imagination not only to concertos and recitals, but also to portraits in words and music of such composers as Schumann, Rachmaninoff, Chopin, Liszt and Debussy. Lucy Parham has performed throughout the UK and Europe, South Africa, USA, Canada and Russia. As a concerto soloist with leading orchestras, she has appeared in the UK with the London Philharmonic, Philharmonia, Royal Philharmonic, BBC Philharmonic, RTE Orchestra, Ulster Orchestra, BBC Concert Orchestra, Royal Liverpool Philharmonic, London Mozart Players, City of London Sinfonia, Hallé and Royal Scottish National Orchestra, and abroad with the Russian State Symphony Orchestra at the Tchaikovsky Hall and Great Hall in Moscow, Bergen Philharmonic, L’Orchestre National de Lille, L’Orchestre Rencontres Suisse, and on three tours with the Sofia Philharmonic and the Polish National Radio Symphony Orchestra. In 2002 she joined the BBC Concert Orchestra and conductor Barry Wordsworth on a six-week 50th Anniversary tour of the USA and she has toured the UK, Mexico and Turkey with the Royal Philharmonic Orchestra with whom she has now given over sixty concerts. In recent years, Lucy Parham has established herself as a leading interpreter of the works of Robert Schumann and of his wife, Clara. Her unique recording of both Robert’s and Clara’s piano concertos (with the BBC Concert Orchestra and Barry Wordsworth on Sanctuary Classics) was named Critics’ Choice of the Year by BBC Music Magazine. Among her other recordings are concertos by Ravel, Franck and Fauré (with the RPO for RPO Records), Gershwin’s Rhapsody in Blue (with both the BBC Concert Orchestra for BBC Worldwide and the RPO for EMI Gold), a solo Chopin CD for ABM, the album ’The Romantic Piano’ for Sanctuary Classics and an acclaimed solo Schumann CD on ASV. 2002 brought the premiere, in the context of Wigmore Hall’s Masters Series, of her first concert of words and music concert, Beloved Clara, which traces the relationship between Robert and Clara Schumann and Brahms. It has since been performed around the UK and in Los Angeles (where it was recorded for broadcast on National Public Radio) and at over 100 venues. The return performance of Beloved Clara to the Wigmore Hall’ London Piano Series in 2010 received a five star review in the Independent – “ a lovely entertainment – flawlessly performed”. Critical acclaim for ASV’s CD release of Beloved Clara, featuring actors Joanna David and Martin Jarvis, has included selection as CD of the Week by The Sunday Times, Guardian and Observer. The success of Beloved Clara has inspired four further evenings of words and music. Liszt – An Odyssey of Love, premiered in 2008 in the Wigmore Hall’s London Pianoforte Series and has since received numerous performances around the UK; like Beloved Clara, it was also taken to Los Angeles and broadcast on National Public Radio. In 2010, Nocturne – The Romantic Life of Frédéric Chopin made its London debut at the Wigmore Hall, with Dame Harriet Walter and Samuel West taking the roles of George Sand and the composer. The CD of Nocturne has been released on the Deux-Elles label (with Harriet Walter and Samuel West) to critical acclaim. The CD of Odyssey of Love (with Juliet Stevenson and Henry Goodman) was released in 2015, also for Deux-Elles. In 2012, the 150th anniversary of Debussy’s death, a fourth biographical portrait, Rêverie – the life and loves of Claude Debussy was performed throughout the UK, culminating a performance at the Wigmore Hall, as part of the London Piano Series. The CD of Rêverie (with Alex Jennings) was released in 2017 and was a “Critics’ Choice of the Year” by Music Web International. Her next show, Elegie – Rachmaninoff, A Heart in Exile was premiered at St Johns Smith Square and is now touring the UK. The CD (with Henry Goodman) has recently been released. Her latest show I,Clara celebrates the 200th anniversary of the birth of Clara Schumann and begins touring from February 2019. Celebrated actors who have collaborated with Lucy Parham in these composer portraits include Juliet Stevenson, Harriet Walter, Simon Russell Beale, Simon Callow, Jane Asher, Jeremy Irons, Roger Allam, Henry Goodman, Dominic West, Emilia Fox, Joanna David, Alistair McGowan, Patricia Hodge, Niamh Cusack, Rosamund Pike, Tim McInnerny, Michael Maloney, Gabrielle Drake, Edward Fox, Lloyd Owen, Robert Glenister, Greg Wise, Samuel West, Alex Jennings, Martin Jarvis, Timothy West and Charles Dance. A collaboration with renowned actor Henry Goodman in Strauss’ epic melodrama, Enoch Arden for several performances has resulted in an acclaimed recording released in 2016 for Deux-Elles. Her special connection with Schumann was recognised in invitations to direct two anniversary festivals devoted the composer: ‘The Poet Speaks’ at Cadogan Hall in London in 2006 and the Schumann 200 Festival at King’s Place, London in 2010. Lucy Parham first came to public attention as the Piano Winner of the 1984 BBC TV “Young Musician of the Year”. Having made her Royal Festival Hall concerto debut at 16, she has since appeared regularly at all the major concert venues in London and around the UK. Conductors with whom she collaborated include Barry Wordsworth, Sir Charles Groves, Bryden Thompson, Jane Glover, En Shao, Richard Hickox, Antoni Wit, Owain Arwel Hughes, Yoav Talmi, Carl Davis, Veronika Dudarova, Martyn Brabbins, Sian Edwards, John Wilson and Jean-Claude Cassadesus. She has appeared at almost all the major Festivals in the UK. Lucy Parham is frequently heard as a guest or presenter on BBC Radio 3 and 4 including the Today programme, Front Row, Something Understood, Building a Library, Sunday Feature, CD Review, Proms Plus, The Essay, Tales from the Stave, Music Matters, Composer of the Week, Young Musician of the Year, Sunday Salon and Saturday Classics. She has broadcast on BBC TV and Radio 3 as the commentator on the Leeds International Piano Competition in 2006, 2009 and 2015. She has frequently been a jury member for the final of the BBC Young Musician of the Year and in 2016 she was a member of the jury at the Robert Schumann International Piano Competition in Zwickau, Germany. In 2017/18 she presents her second series of Sheaffer Sunday Matinees – comprising al five of her Composer Portrait concerts. She has been the Artistic Director of the Kings Place Coffee Concerts (Word/Play) and of the Guildford Spring Festival. Lucy Parham is a Professor at the Guildhall School of Music and Drama, London. Acknowledged as one of Britain’s finest pianists, Lucy Parham applies her sensitivity and imagination not only to concertos and recitals, but also to portraits in words and music of such composers as Schumann, Chopin, Liszt, Debussy and Rachmaninoff. Her life-long passion for the music of Schumann inspired the original concept of the words and music evening, Beloved Clara. Two further evenings, Liszt – An Odyssey of Love and Nocturne – The Romantic Life of Frédéric Chopin also premiered in the London Piano Series at the Wigmore Hall. These musical portraits have toured the UK and abroad, also making their US debuts in Los Angeles and subsequently broadcast on NPR across the USA. The fourth programme, Rêverie – the life and loves of Claude Debussy was premiered at the Wigmore Hall London Piano Series with Henry Goodman. The CDs of Beloved Clara (Martin Jarvis/Joanna David), Nocturne (Samuel West/Harriet Walter), Odyssey of Love (Henry Goodman/Juliet Stevenson) and Rêverie (Alex Jennings) have all been released to critical acclaim. Her fifth show, Elégie – Rachmaninoff, A Heart In Exile” is touring the UK and the CD (Henry Goodman) is now available. The latest Composer Portrait I, Clara has been created for 2109. It celebrates Clara Schumann’s 200th anniversary. Celebrated actors who have collaborated with Lucy Parham in these composer portraits include Juliet Stevenson, Harriet Walter, Henry Goodman, Simon Russell Beale, Simon Callow, Henry Goodman, Dominic West, Joanna David, Roger Allam, Alistair McGowan, Patricia Hodge, Niamh Cusack, Rosamund Pike, Tim McInnerny, Edward Fox, Robert Glenister, Samuel West, Alex Jennings, Martin Jarvis, Timothy West and Charles Dance. Lucy Parham first came to public attention as the Piano Winner of the 1984 “BBC Young Musician of the Year”. Since her Royal Festival Hall concerto debut at the age of 16, she has played throughout the UK as concerto soloist with most of the major British orchestras and is a frequent recitalist at the Wigmore Hall. She has also toured the USA with the BBC Concert Orchestra on their 50th anniversary, as well as Mexico and Turkey with Royal Philharmonic Orchestra with whom she has now given over 60 performances. Abroad, she has toured with the Russian State Symphony, Sofia Philharmonic, Bergen Philharmonic, Polish National Radio SO and L’Orchestre National de Lille. Lucy Parham is a regular guest and presenter on BBC Radio 3 and 4. Programmes include Something Understood, CD Review, Front Row, The Today programme, Proms Plus, Tales from the Stave, The Essay, Music Matters, Building a Library, Composer of the Week, Young Musician of the Year and Saturday Classics. She has broadcast several times on the BBC as the commentator on the Leeds International Piano Competition and has frequently been a judge and radio presenter for the Final of BBC Young Musician of the Year. 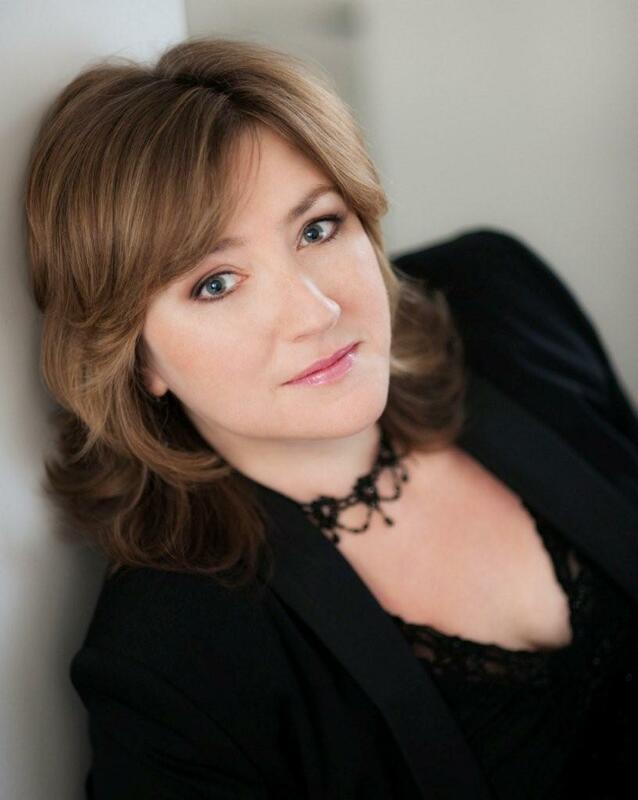 She was invited to be the Director of the 2006 Schumann Anniversary Festival at Cadogan Hall and the Director of Schumann 200 Festival at King’s Place in 2010. In 2016 she was a member of the jury at the Robert Schumann International Piano Competition in Zwickau, Germany. In 2017/18 she presents her second series of Sheaffer Sunday Matinees – comprising all five of her Composer Portrait concerts. She is Artistic Director of the Kings Place Coffee Concerts (Word/Play series) and of the Guildford Spring Festival. “A superb evocation of the life and music of Sergei Rachmaninoff. “Many melodramas were deliberately contrived for domestic performance. Lucky indeed would be the home that could command the services of two such artists in their midst. “There is nothing more satisfying than listening to great music, beautifully performed, while, at the same time, learning a little about the world in which it came into being and about the people who created it. “These wonderful concerts are so cleverly organic because the composers become alive again. This happens before your eyes and it transforms the musical experience for the audience. “Lucy Parham has carved out a unique concert hall slot with her words and music portraits of the great pianist-composers. To achieve this requires multiple skills – researching and compiling the texts, securing the services of top-flight actors to narrate, devising the music to fit, and performing this herself. Liszt emerges as the contradictory and likeable individual that he clearly was. Henry Goodman and Juliet Stevenson excel in their spoken portrayals of the man himself and the two high-octane ladies in his life.